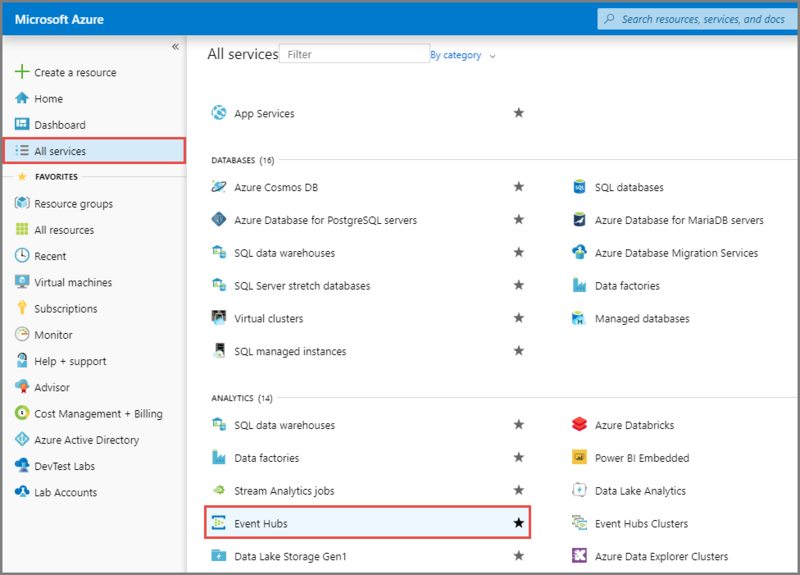 In this quickstart, you create an event hub using the Azure portal. Azure subscription. If you don't have one, create a free account before you begin. .NET Standard SDK, version 2.0 or later. 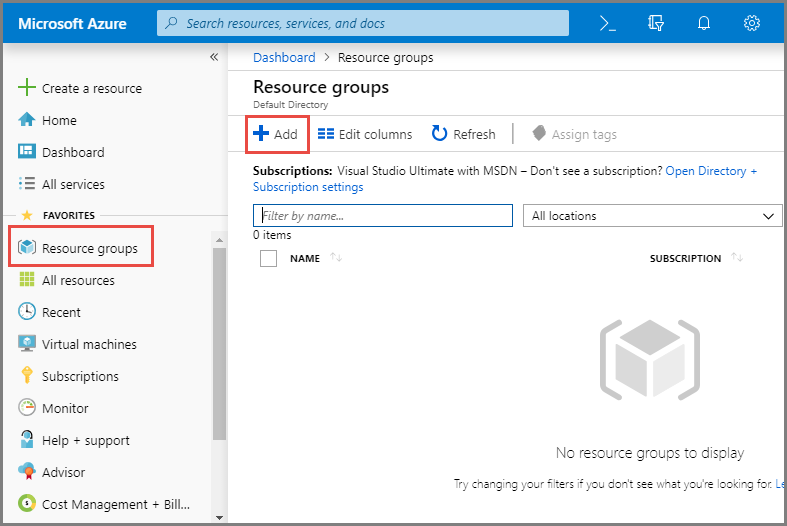 In the left navigation, click Resource groups. Then click Add. 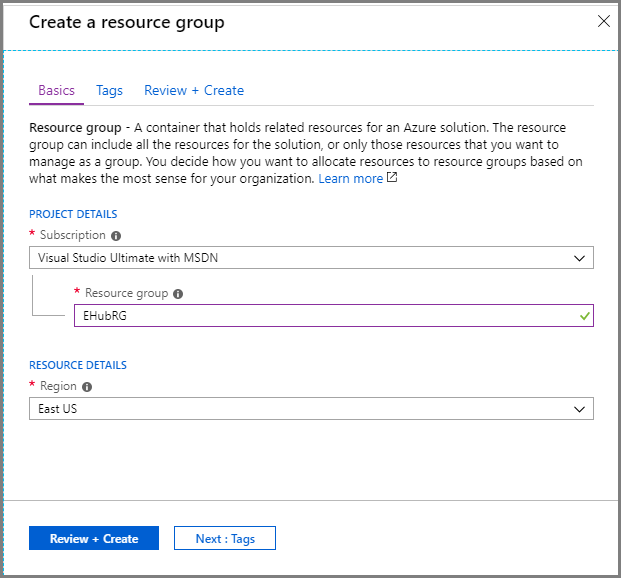 For Subscription, select the name of the Azure subscription in which you want to create the resource group. Type a unique name for the resource group. The system immediately checks to see if the name is available in the currently selected Azure subscription. Select a region for the resource group. On the Review + Create page, select Create. 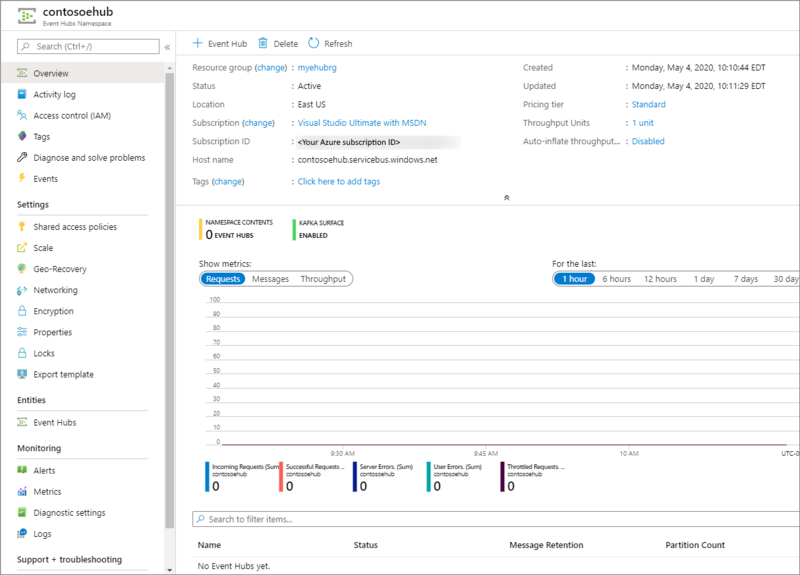 In the Azure portal, and click Create a resource at the top left of the screen. Select All services in the left menu, and select star (*) next to Event Hubs in the Analytics category. Confirm that Event Hubs is added to FAVORITES in the left navigational menu. Select Event Hubs under FAVORITES in the left navigational menu, and select Add on the toolbar. Enter a name for the namespace. The system immediately checks to see if the name is available. Choose the pricing tier (Basic or Standard). 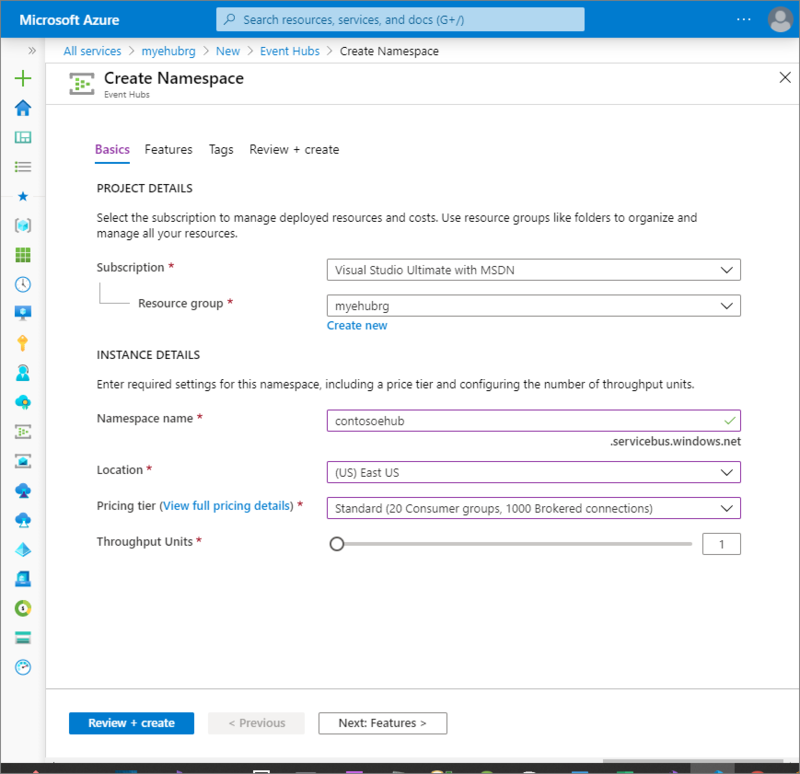 Select the subscription in which you want to create the namespace. Select a location for the namespace. Select Create. You may have to wait a few minutes for the system to fully provision the resources. 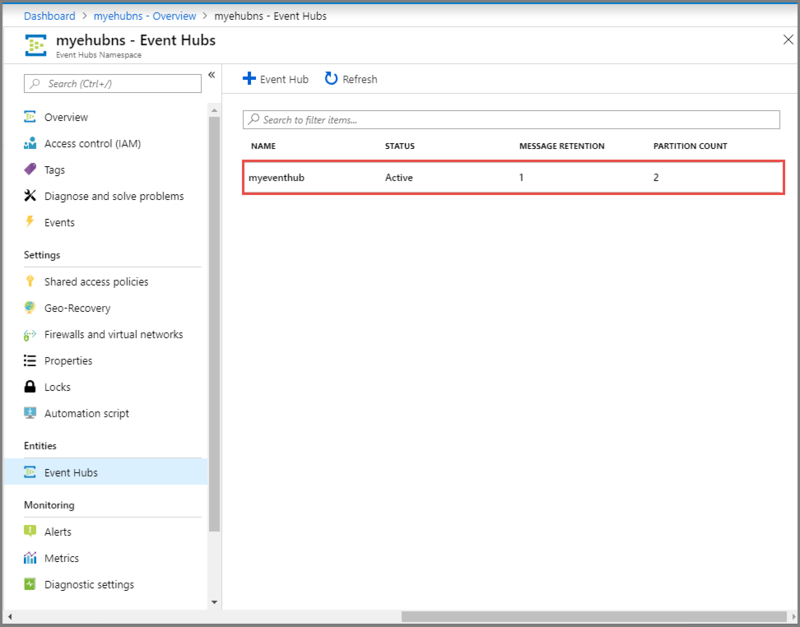 Refresh the Event Hubs page to see the event hub namespace. You can check the status of the event hub creation in the alerts. Select the namespace. You see the home page for your Event Hubs namespace in the portal. 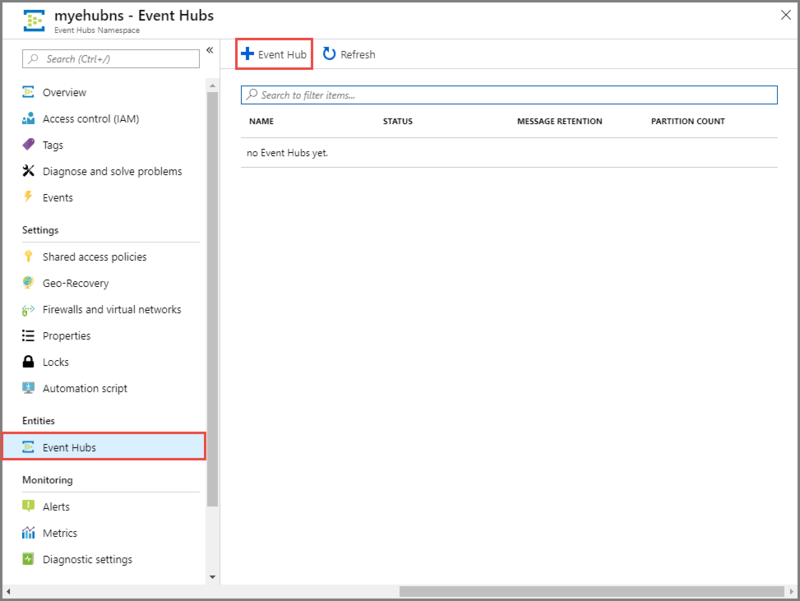 On the Event Hubs Namespace page, select Event Hubs in the left menu. At the top of the window, click + Event Hub. 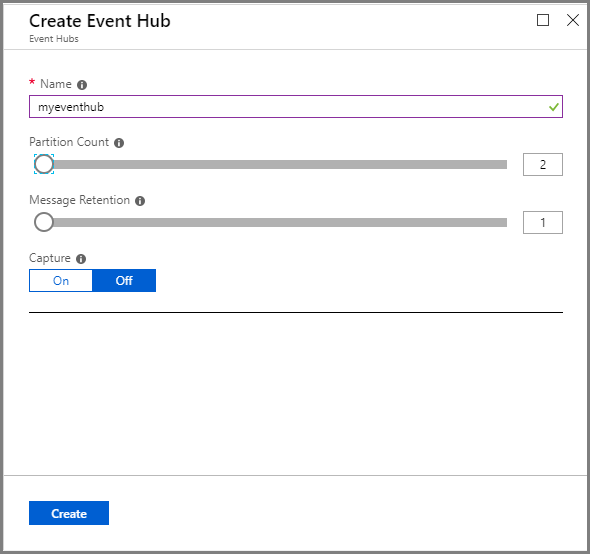 Type a name for your event hub, then click Create. Congratulations! 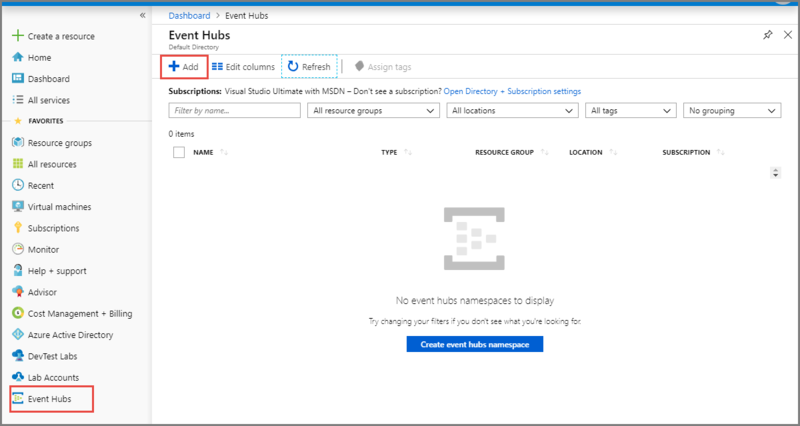 You have used the portal to create an Event Hubs namespace, and an event hub within that namespace.